NAILA is driven by a dynamic and talented group of young Australian  and Indonesian volunteers who are dedicated to improving the bilateral relationship by encouraging deeper communication, respect and understanding between our two nations. Sally works at the Commonwealth Attorney-General’s Department. She holds Bachelors of Laws and International Relations and two diplomas of languages in Arabic and Indonesian. In 2013 Sally was awarded the Prime Minister’s Australia Asia Award for her first class research examining the effects of corruption on trade and aid in the Australia-Indonesia relationship. Sally has worked as a solicitor, paralegal and seasonal clerk, at commercial law firms over the past five years, including at MinterEllison, Herbert Smith Freehills, Baker & McKenzie and Ashurst’s Melbourne and Jakarta offices. During her most recent stay in Indonesia from 2013-2015 Sally worked as a consultant providing executive advice and training to staff at the Centre for World Trade Studies in Yogyakarta, as well as held the role of First Secretary to the Indonesian Ambassador to the WTO at the Ninth Ministerial Conference in Bali. 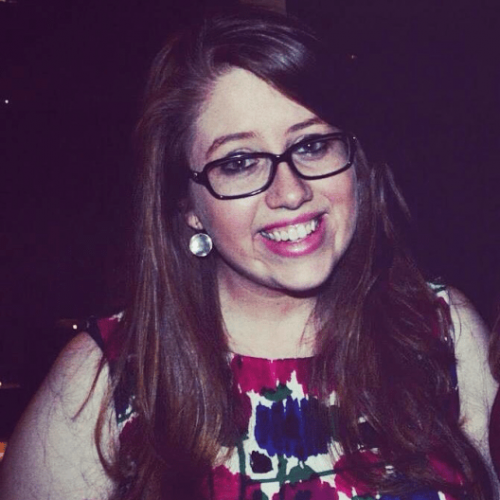 Prior to this Sally lived in Tunisia, Hong Kong and Sri Lanka where she interned at Colombo University’s Centre for the Study of Human Rights and won an Australia Arab Chamber of Commerce Language Award for her proficiency in Arabic. Sally has spent 12 years traveling between Australia and Indonesia for work, study and pleasure and maintains technical proficiency in Indonesian/Malay, evidenced by her first-place award at the International Malay Speaking Competition: Prime Minister’s Championship (PABM). 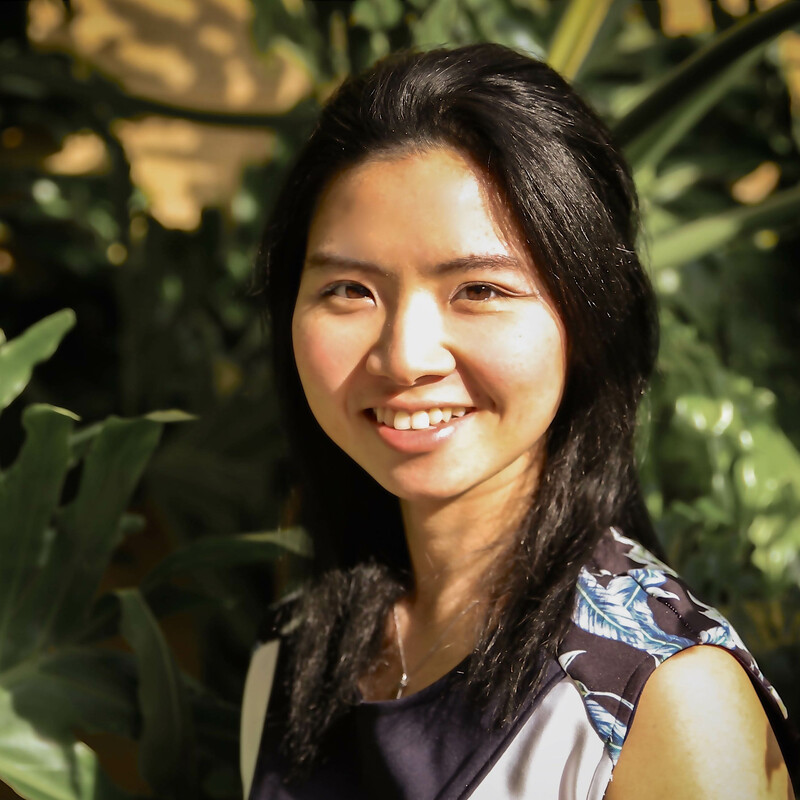 As a co-founding member of the Australia-Indonesia Youth Association (AIYA), Sally is passionate about strengthening the bilateral relationship through people-to-people links. Sally believes that trust and mutual understanding are essential to maintaining Australia’s place in the world and that communication (and foreign language skills) is key to achieving this. Maighdlin is a public servant. 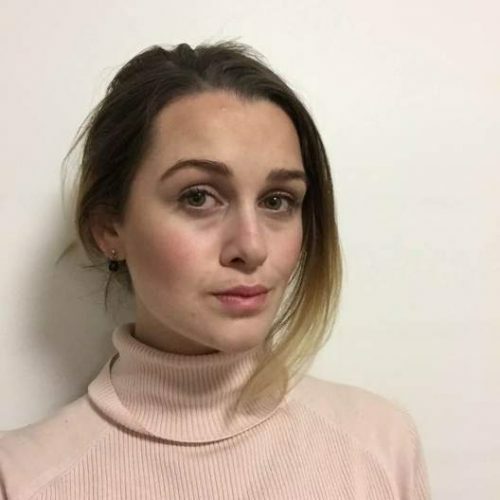 She recently completed a year-long assignment as an Australian Volunteer for International Development working as a Communications Consultant at The Asia Foundation’s Jakarta Office. Maighdlin holds a double degree in International Relations and Asia-Pacific Studies (Honours), with majors in Indonesian Language and Indonesian Studies, from the Australian National University. In 2015, Maighdlin completed a semester-long exchange program at Parahyangan Catholic University in Bandung with the Australian Consortium for ‘In-Country’ Indonesian Studies (ACICIS). 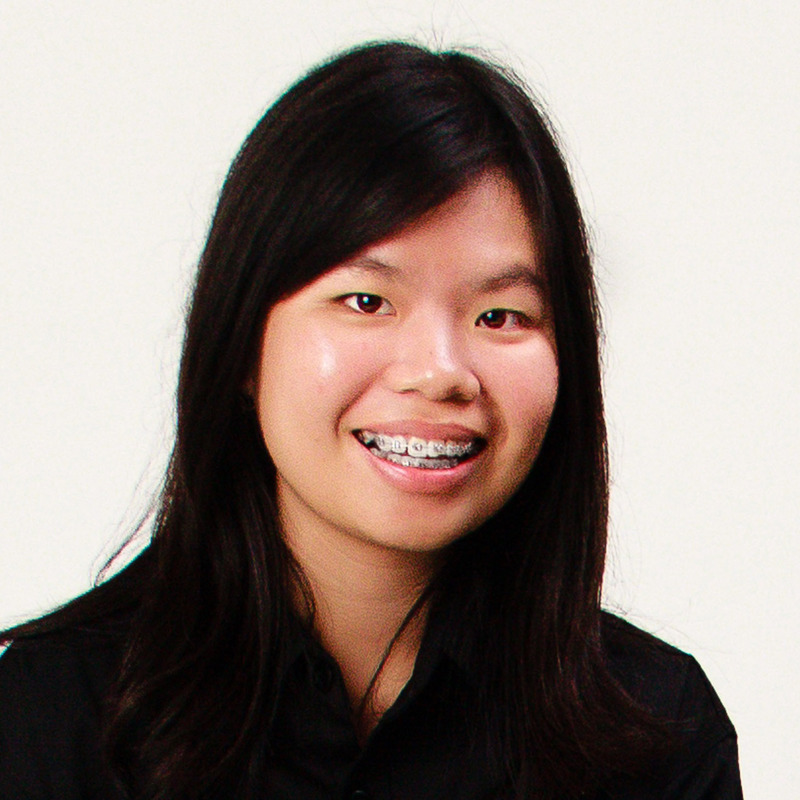 In 2015-2016, she was the ACT Chapter President of the Australia-Indonesia Youth Association. 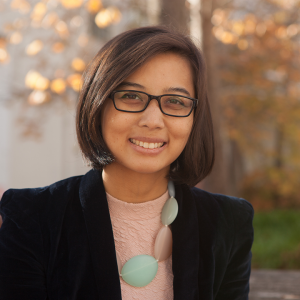 Asa currently works for the Australian Consortium for ‘In-Country’ Indonesian Studies (ACICIS) as Stakeholder Relations and Internships Manager. 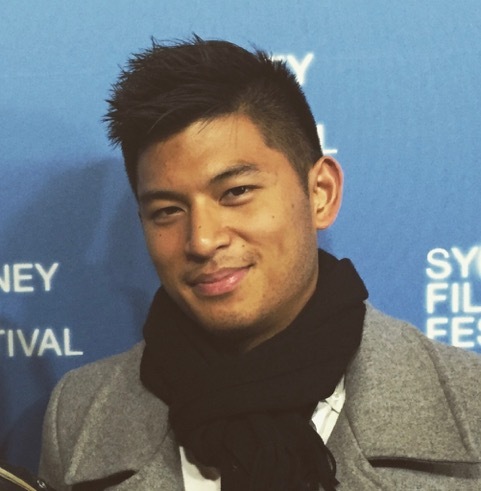 Beside NAILA, he was previously active in the Australia-Indonesia Youth Association (Victoria) as the Creative Officer in 2014-2015. As well as his interest in Australia-Indonesia relations, Asa is a passionate environmentalist. He graduated from Monash University with a Bachelor of Science, majoring in Geoscience. Prior to joining ACICIS, Asa was involved in sustainable development research, with a particular focus on sustainable natural resource management in Kalimantan. Based in Yogyakarta, Asa is determined to strengthen Australia-Indonesia relations through building partnerships between Australian organisations and their Indonesian counterparts. Asa was an integral part of NAILA’s development in its inaugural year and looks forward to growing NAILA in its subsequent years. 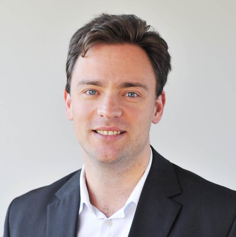 Michael has a Bachelor of Arts and Diploma in Languages from The University of Melbourne. Michael is currently interning with Yayasan Cinta Anak Bangsa, a not-for-profit social enterprise specialising in microfinance and education, and is based in Jakarta. Michael’s experience with Indonesia has been quite diverse. He is a recipient of the Indonesian Independence Day Scholarship from the Indonesian Embassy in Canberra (2013). 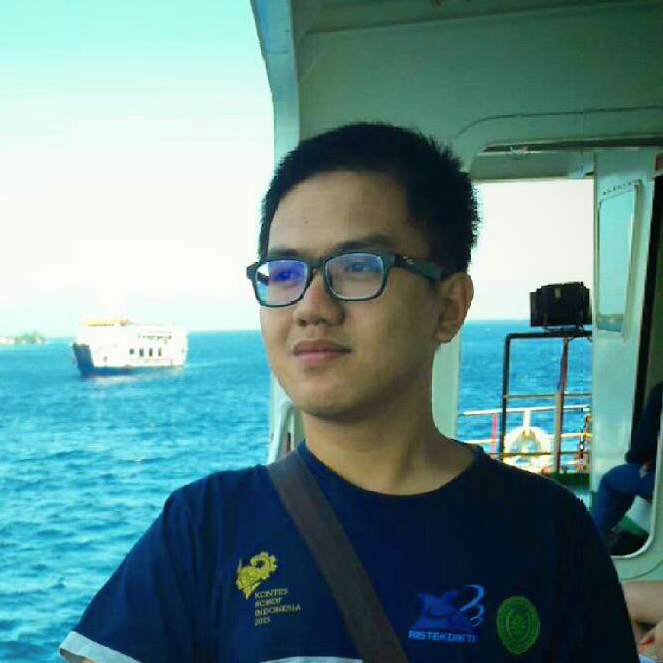 He has taken part in intensive study in Jogjakarta (2014) and at Universitas Udayana (2016). Michael assisted in hosting the visit of an Indonesian Air Force Major to the Puckapunyal Army Base and was President of the Melbourne University Indonesian Studies and Language Association (2015-2017). 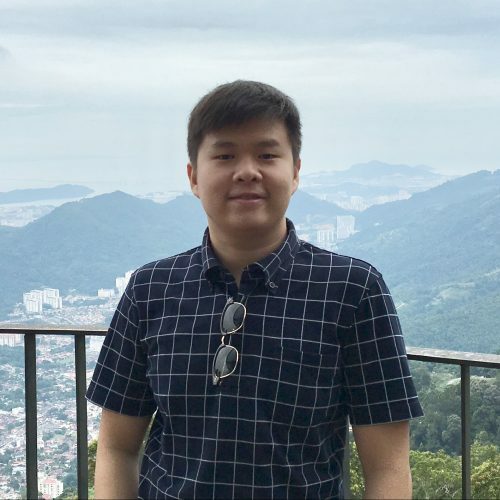 Michael is passionate about Indonesian studies, with particular interests in the fields of literature, history, religion and bilateral business/finance. He has volunteered for NAILA since 2015. 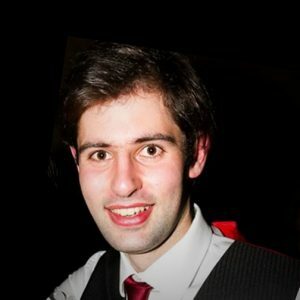 Stephen is currently enrolled in Bachelor of Commerce majoring in Finance and Accounting at the University of Melbourne. 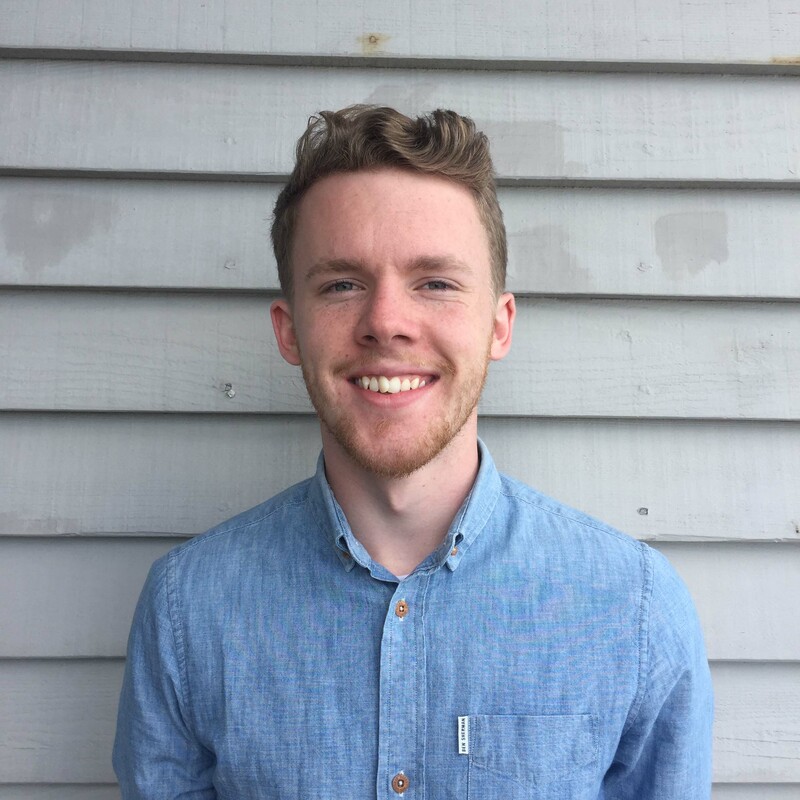 Stephen is passionate about community development through social entrepreneurship and cultural exchange. In his opinion, an integral aspect of such cultural exchange is language learning. He therefore believes that the work of NAILA and also, AIYA (Australian Indonesian Youth Association), is crucial to develop the relationships between the two nations, particularly on a grassroots level. Stephen is glad to be involved in both organisations. 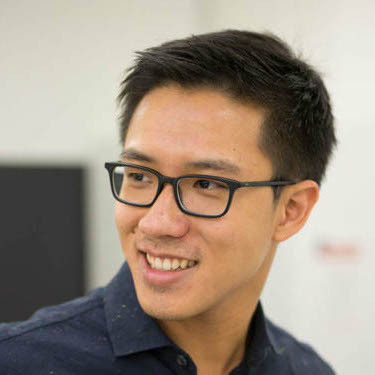 Aris Huang is co-founder and researcher at Nagara, a civic tech initiative focusing on technology, data and governance. He is also a professional translator and has taught Indonesian as well as Translation Studies at Monash University and the University of Melbourne. He calls Melbourne and Jakarta home(s), having spent equal amount of time living in both Australia and Indonesia. Aris received his Master of International Relations from the University of Melbourne. Yani has been working in media industry for 13 years. She has experienced in print media (magazine), electronic media (radio) and online/digital media (website and social media). In her last role, she lead the digital platforms of Femina Magazine (the first and the biggest women magazine in Indonesia). Leading Femina’s website and social media were her main responsibilities. In her spare time Yani, who has Bachelor of Communication degree from Padjadjaran University in Bandung, loves to travel. The idea of learning new cultures in new places has always captured her. She has travelled through Asia, Europe, and Australia. Since the first time she stepped in Melbourne in 2014, she realised the strong bond between Australia and Indonesia. 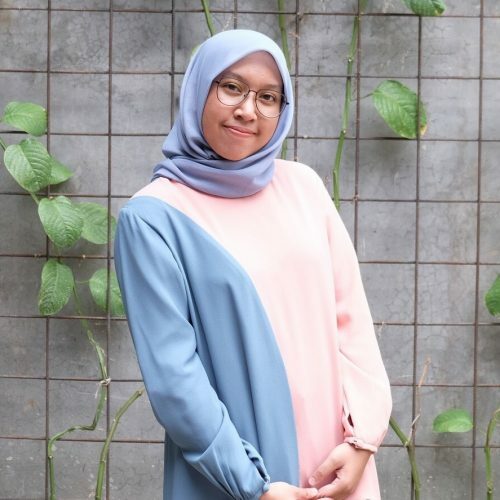 By joining AIYA and NAILA she hopes to contribute to strengthening that bond. 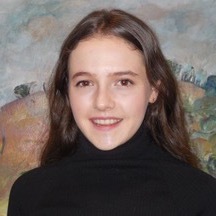 Maxine is currently studying a Bachelor of International and Global Studies majoring in Asian Studies and Geography alongside a Diploma of Languages in Indonesian at the University of Sydney. 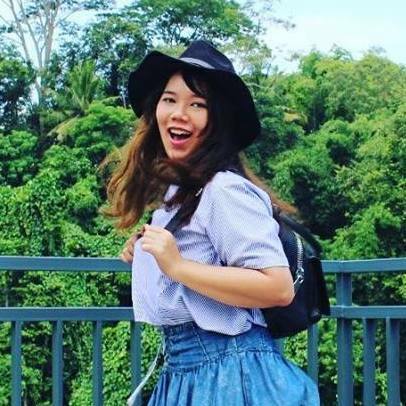 In 2017, she participated in a six-month Geography Immersion Program at the University of Indonesia during which she became obsessed with climbing Indonesian volcanoes. 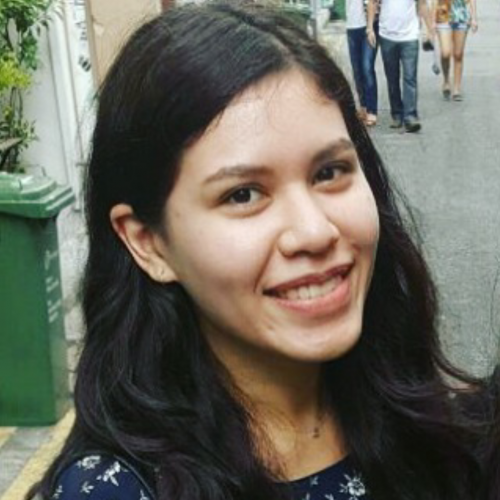 Since returning to flat ground, Maxine has since had the opportunity to intern at the Food and Agriculture Organisation of the United Nations in Jakarta. 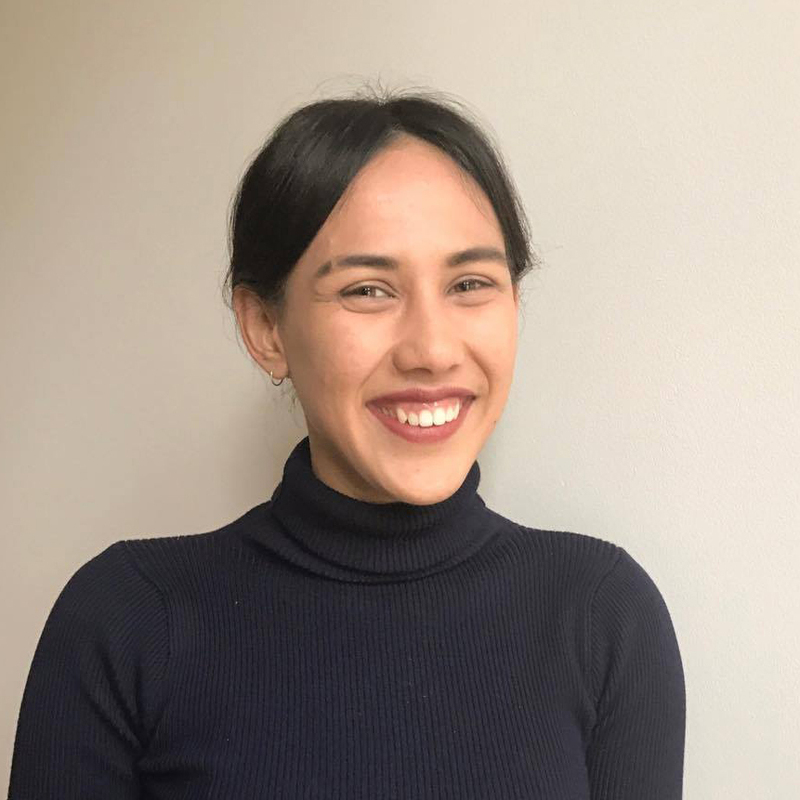 Maxine is now in the early stages of planning her Geography Honours thesis which she hopes to undertake on issues related to food insecurity in Eastern Indonesia. 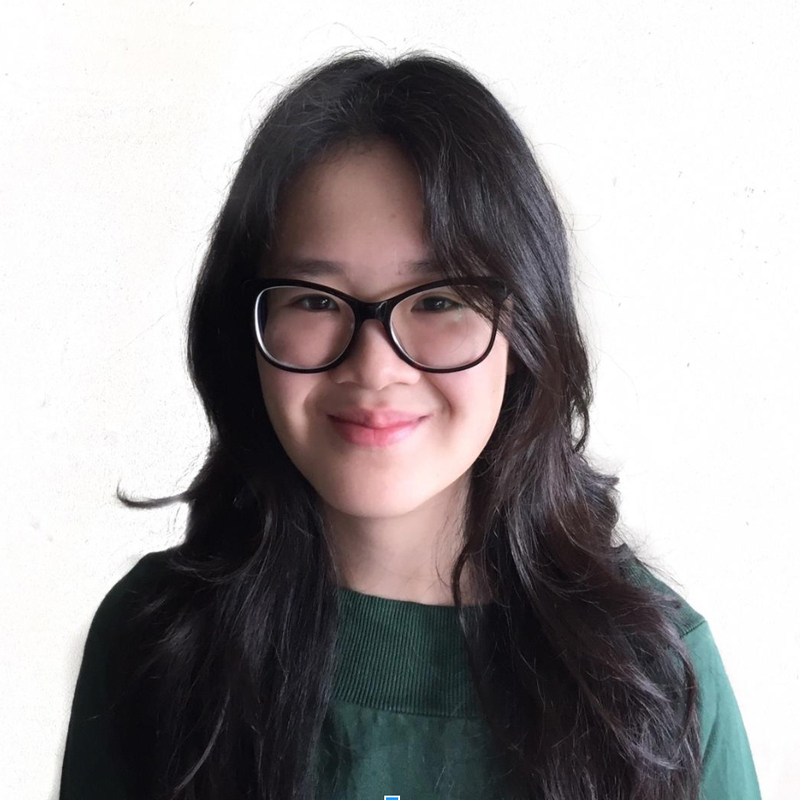 Although Maxine is relatively new to the Australia-Indonesia space, she is very passionate about encouraging Australian school students to take up Indonesian language classes as she wishes they had been available to her when she was younger. 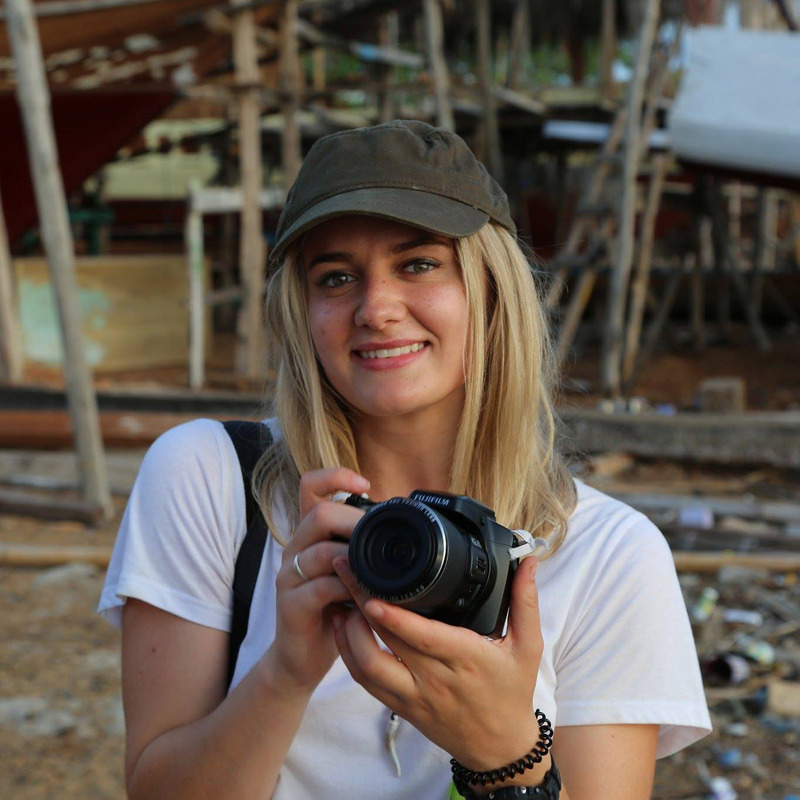 Her next trip to Indonesia will likely involve crossing a few more volcanoes of her checklist, especially Gunung Agung in Bali and Gunung Kerinci in Sumatra. Hakim currently works as a Student Leader at the Graduate Student Learning Hub in the Faculty of Education, Monash University. 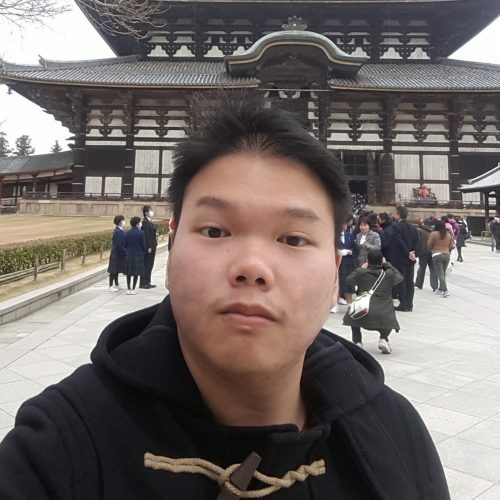 Hakim is a student at Monash University completing a Master of TESOL (Teaching English to Speaker of Other Languages) through LPDP Scholarship (Indonesian Endowment Fund for Education) scheme. He holds a Bachelor of Education majoring in English Education from IAIN Salatiga (State Institute of Islamic Studies), which he completed in 2015. Hakim was a member of the International Class Program and worked as an assistant lecturer while he completed his undergraduate study. As a postgraduate student, Hakim actively engages in the Campus Community Division as an International Student Ambassador. He is also involved in the Melbourne-based Krakatoas, a football community club. Hakim is passionate about language education. He believes education and language study can strengthen bilateral cooperation. Growing up in the United Kingdom (UK) from a very young age and educated in the UK, Handal obtained his Bachelor of Science with Honours in Information and Communications Technology from Birmingham City University. 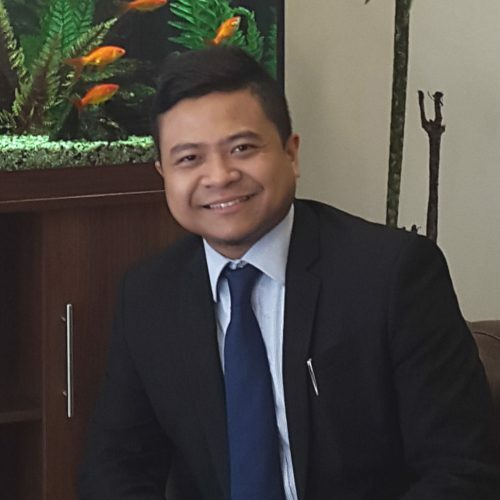 He previously positioned as an Investment Analyst at Indonesia Investment Promotion Centre (IIPC) London before joining the Treasury Department then Trade (Import & Export) and Business Operations department at PT Bank Negara Indonesia, London Branch. He gained a Talented Athlete Scholarship Scheme (TASS) form the UK Government for his achievements in Badminton. He was part of the Badminton England National team setup and has represented England in various International tournaments at junior level. Australia and Indonesia have special relationship even though the two countries are different in terms of history, geography, ethnicity, political systems, and economic development. Handal believes these differences can be an important asset for bilateral relations as they can actually be used to complement each other to ensure the relationship continues to grow stronger. 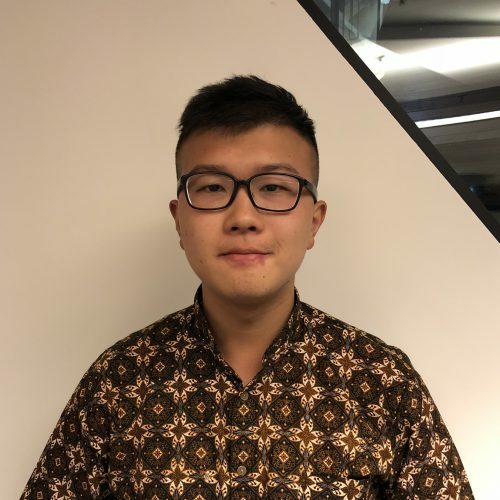 Johanes Warsono (a.k.a Yichen) is currently a third-year undergraduate student majoring in Accounting and Finance at the University of Melbourne. 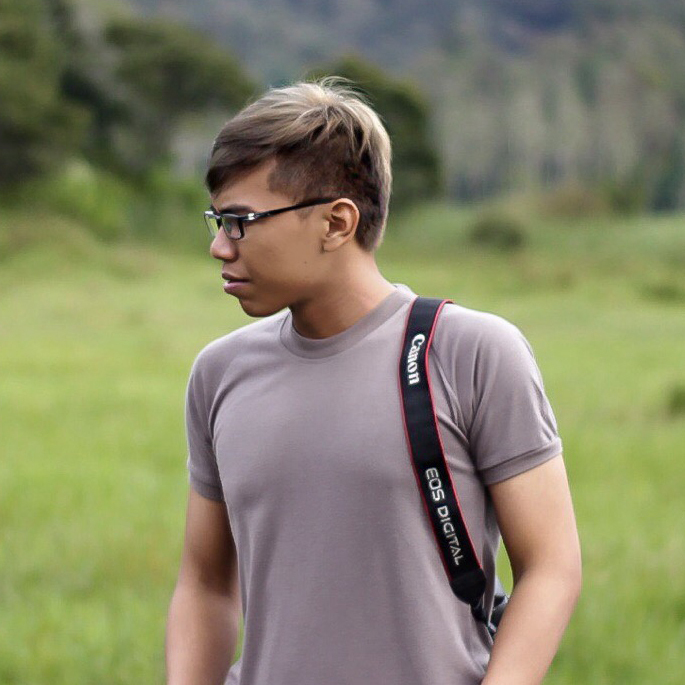 As a language enthusiast speaking 7 languages and a traveller who has been to 23 countries, Warsono is especially fascinated by Indonesia’s diversity and richness in culture and language after his visit to Riau Islands in 2017. Therefore, he decided to get involved in the Indonesian community in Melbourne. 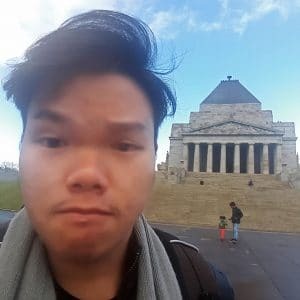 Warsono is now working as a treasurer for the Victoria Chapter of Australia-Indonesia Youth Association (AIYA) as well as doing some photography work for Ozip Magazine. Warsono believes that language barrier is the fundamental obstacle for people from different cultural backgrounds to eliminate mutual misunderstanding and establish friendship. Therefore, other than studying Indonesian in his own leisure, Warsono is also interested in promoting popularity of Indonesian language studies among Australian university students. 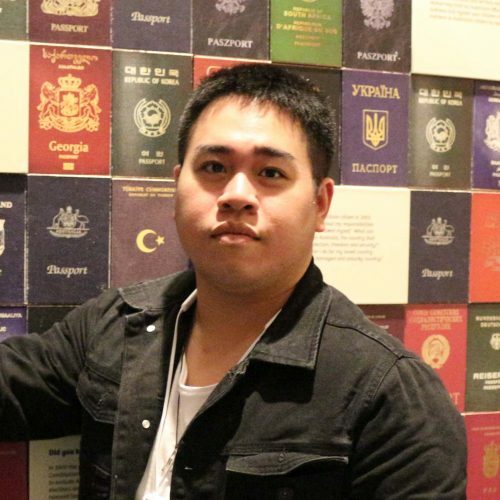 Motivated by his passion in Indonesian and his belief in language studies as a passport to success in cross-cultural exchange, Warsono joins the NAILA 2018 team so that he can help people who share similar passions and interests in Australia-Indonesia relationship. 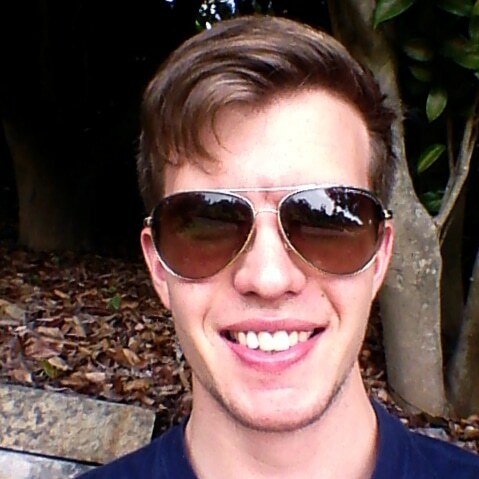 Lachlan has a Bachelor of Arts (Honours) in Indonesian language and literature completed via exchange in Yogyakarta and Mataram, Lombok, and has held various roles with the Australia- Indonesia Youth Association (AIYA) at both national and chapter levels. His involvement in the Australia-Indonesia relationship grew from high school study of the language and travel to the region for intensive short courses during university. 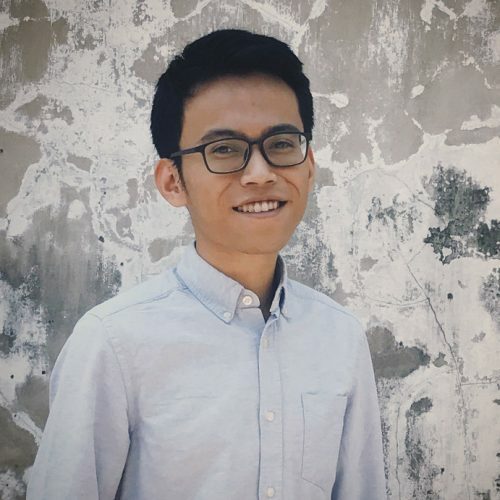 His passion for the written word has led him to seek out a variety of dynamic experiences – from interning as a copy editor at the Jakarta Globe to interpreting for a USC International Development capacity building project. 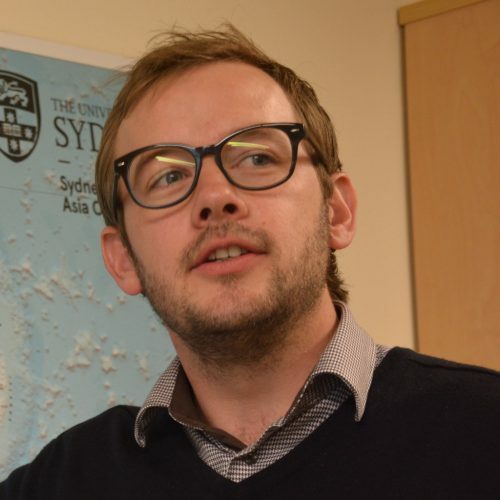 Lachlan believes that initiatives such as NAILA should be greatly encouraged to provide a much-needed boost to Indonesian language studies in Australia. Sarifa recently completed a Bachelor of Politics, majoring in International Relations, at Parahyangan Catholic University in Bandung. Throughout her study, Sarifa was interested in diplomacy, regimes, and international organisations. To apply her interests, she interned at The Embassy of Republic Indonesia in Brunei Darussalam and learned about the processes of bilateral diplomacy between Indonesia and Brunei Darussalam. Sarifa also volunteered with Greenpeace Indonesia to promote peace, global disarmament, and non-violence. Sarifa became interested in Australia-Indonesia relations, especially in people-to-people approaches, through her involvement as a liaison officer for ACICIS students at her university, as well as being inspired by her brother who is interning as a public diplomacy officer at the Australian Consulate-General in Bali. Sarifa believes that people-to-people links are the main pathway to increase mutual understanding between our two countries through respecting each other’s diversity. Krista completed her high school education in Busselton, Western Australia and went on to gain an Associate Diploma of Performing Arts at the Academy of Performing Arts in Perth. 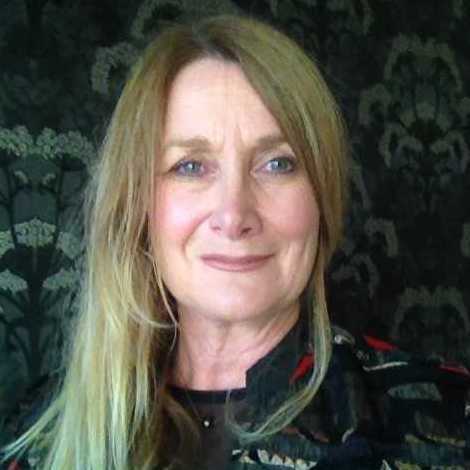 After leaving the region for over 20 years, to work in other states in Australia and Hawaii, she returned and accepted a position managing the retail and tourism sector for The Busselton Jetty’s Interpretive Centre. Working in the tourism industry peaked her desire to learn languages and she decided to pursue the dream full-time. 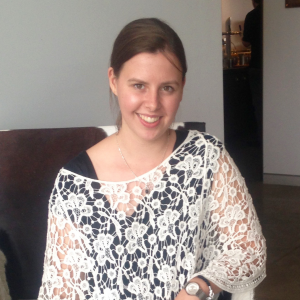 Krista has commenced a Bachelor of Languages degree at The University of New England, majoring in Chinese and Bahasa Indonesia. The journey has provided the opportunity to study overseas and has enriched her life meeting new friends and embracing different cultures. 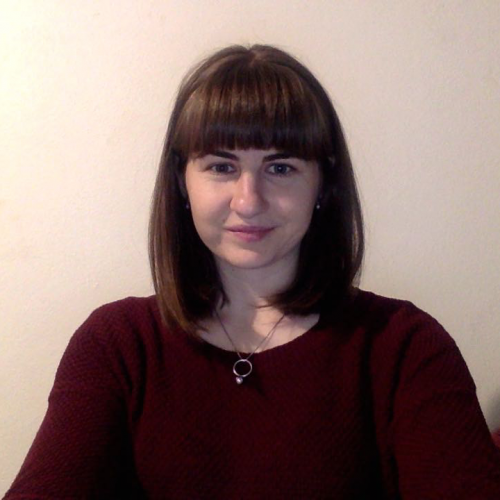 As a mature age student living in a regional area, Krista impresses the success of her online study is due to advancement of online learning technology and her involvement with like minded individuals and organisations. 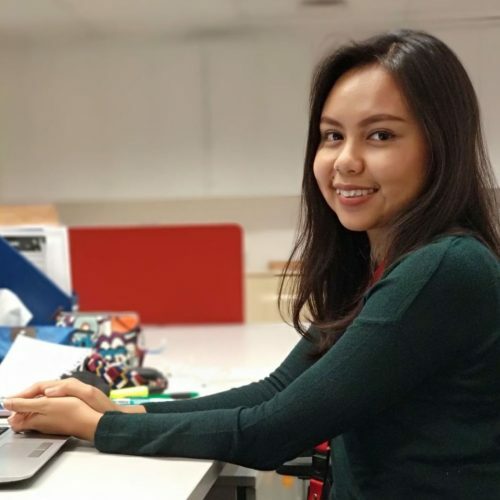 In order to advance her own language skills and inspire others, young and old, Krista is excited to represent NAILA in the role as Engagement Officer which in turn will assist in developing the bilateral relationship between Australia and Indonesia. Banny Rahayu earned a Bachelor of Arts in English Studies from the University of Indonesia. In the third year of her study, she worked as a freelance translator for LINE bilingual English-Indonesian Dictionary. She is currently an editor of a Jakarta-based lifestyle magazine, where she is able to grow an extensive network and hone her English skills through writing and interviewing. Banny’s interest in Australia-Indonesia relationship has grown since she travelled to Australia to study hospitality management and wrote about tourism in Australia during her stint as a magazine editor. She believes that cultural and language exchanges are the keys to nurturing the long-standing relationship between the two neighbouring countries. Vini is a Freelance Writer for several lifestyle media in Indonesia. Before starting a writing business, Vini spent 12 years as a journalist for Cita Cinta Magazine and Femina Media, lifestyle medias focusing on women’s development and empowerment. 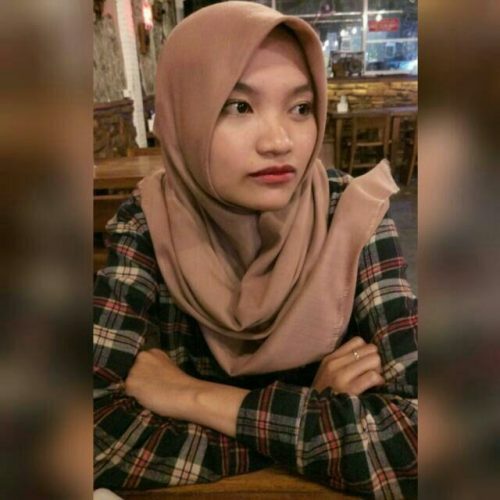 Her passion for writing has grown since studying English at the University of Indonesia where she participated as writer for a student magazine. Vini enjoys playing badminton in her spare time. 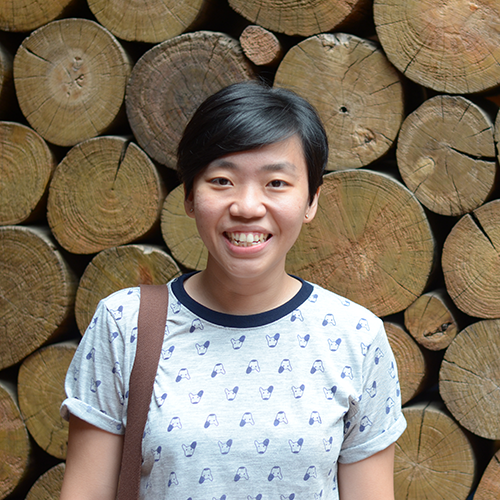 Her interest led to Vini being a contributor for Badzine, an international badminton website, for two years. Vini also loves to travel, which she considers to be one of the best forms of education. During her journeys across Asia and Europe she has met people from different backgrounds and learned new cultures. 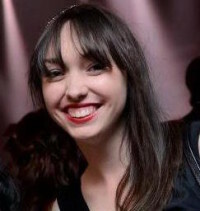 Although Vini has not traveled to Australia yet, she feels a strong personal connection to Australia because her aunt and two uncles live here. Through their stories, she realised that Indonesia and Australia are not only geographically close, but also across other fields such as tourism and education. Through NAILA, Vini hopes to be able to contribute to the development of bilateral relations between these two neighbouring countries. She believes this mission can be fulfilled by understanding each other’s language. 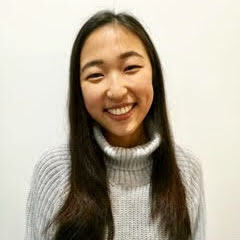 Stephanie is currently studying a Bachelor of International and Global Studies, majoring in International Relations and Indonesian Studies at the University of Sydney. She regards Indonesian language education very highly, having studied Indonesian through distance education from Year 9 up until her Higher School Certificate wherein she achieved a rank of 1st in the State for Indonesian Heritage Studies. 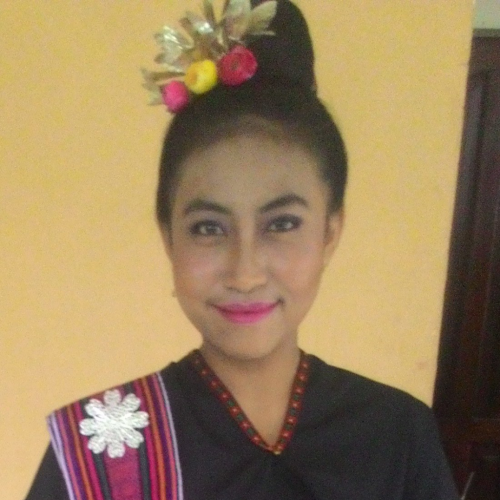 Indonesian language education has not only helped her to bridge the communication distance between herself and her family but imparted upon her a responsibility to share her cultural heritage with others. 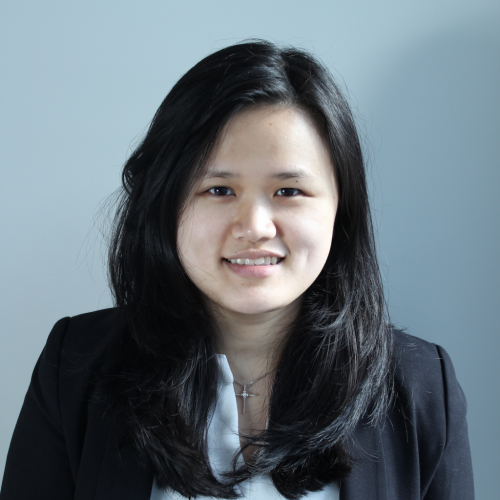 Stephanie is currently interning at Asialink Business, an organisation supported by the Australian Government, which seeks to equip Australian businesses with Asia capable skills to ensure they are able to seize the potential of the Asian market. Her time at Asialink, along with her studies and her cultural heritage have fostered her interest in the Australia-Indonesia relationship. This interest has been further nurtured by an opportunity to travel to Indonesia along with the University of Sydney’s Sydney Southeast Asia Centre. 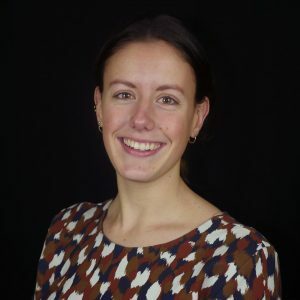 During her time in Indonesia, Stephanie will be studying the issues of women’s empowerment and the work of the Australian and Indonesian initiative, Empowering Indonesian Women for Poverty Reduction Program (MAMPU). Through this experience, Stephanie hopes she will be able to better understand the ways in which Australia has directly engaged with Indonesia and its development of social issues. Zipora holds a Bachelor of Education majoring in English Language and Literature at Satya Wacana Christian University, Salatiga. Zipora currently works as a Process Specialist in PT. Home Credit Indonesia with responsibilities of creating and reviewing policy and procedure. Previously, Zipora took part in a project called Roll Out which aimed to expand the company’s business by opening branch offices in big cities in Indonesia. She was relocated to cities every three months. Due to the project, she had travelled to six cities in total, mostly in Eastern Indonesia. 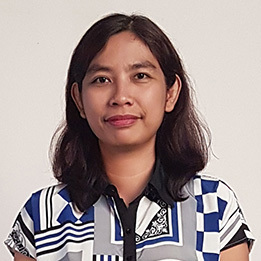 Prior to her current job, Zipora started her career as a Project Officer in an Education Consultancy in Jakarta for two years. Zipora was trusted to become person-in-charge in Indonesia to assist the project team of the University of the Sunshine Coast (USC) at managing in-land administration for projects funded by Department of Foreign Affairs and Trade (DFAT) of Australian Government called Australian Award Fellowship (AAF) and Government Partnership for Development (GPFD). Based on the above experiences, Zipora found her passion and interest in project management and travelling. By joining NAILA, Zipora wishes to gain more skills and knowledge as well as strengthening relationship of Australia-Indonesia. 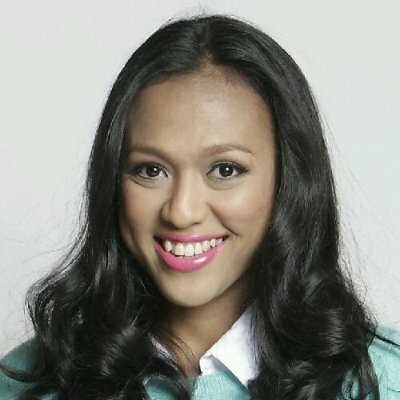 Destania graduated from Parahyangan Catholic University with a Bachelor of Political Science. 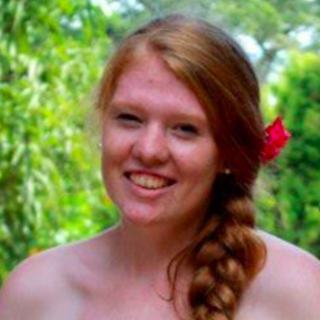 She enjoys being actively involved in volunteer activities that support youth leadership. She also loves to work with children and started a project to teach child prisoners in Bandung for two years. Destania believes in the value of “living beyond ourselves,” that life is not always about yourself but also others. Working for UNICEF is one of her dreams. 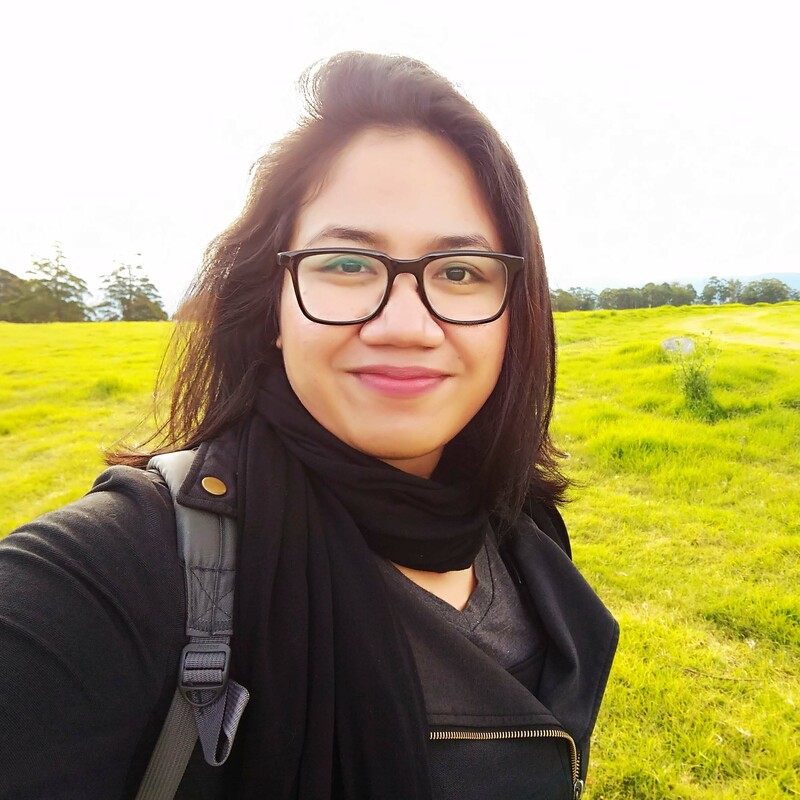 Destania’s involvement in the Australia-Indonesia relationship grew from involvement in a youth leadership homestay program in Australia by Gerakan Mari Berbagi in 2016, as well as her prior experience working at Australia Awards in Indonesia. By volunteering with NAILA, Destania is excited by the prospects of future collaboration between Australia and Indonesian youth. 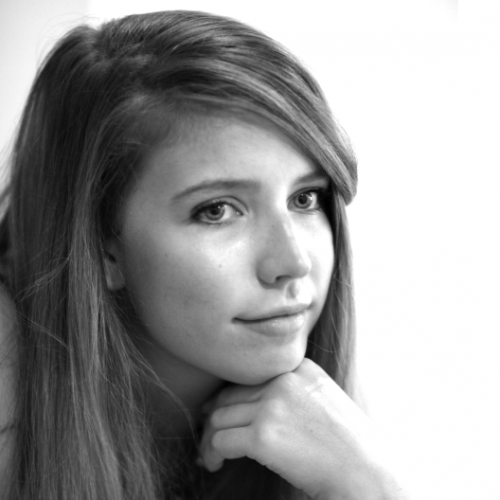 Having a passion for art, Danica works as a freelance editor and graphic designer. She is currently a General Manager in Information and Technology Department at Association of Business Administration Students Padjadjaran University. She is also the Head of Media in Advocacy Department in her faculty organization. Danica loves travelling around Indonesia and overseas. She also has an interest in studying other cultures and building relationships. Through NAILA Danica hopes to contribute to developing and strengthening the Australia-Indonesia relationship. Shidqi graduated from the State University of Malang with a major in Psychology. 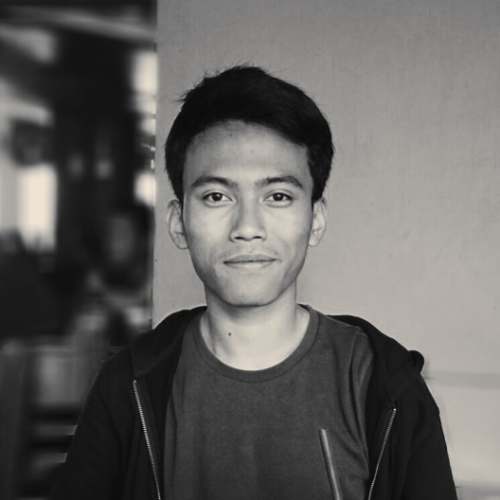 Through his involvement in “Bahasa Indonesia untuk Penutur Asing” 2015-2016 as a photographer and videographer, Shidqi gained a better understanding of Indonesia’s language and culture. 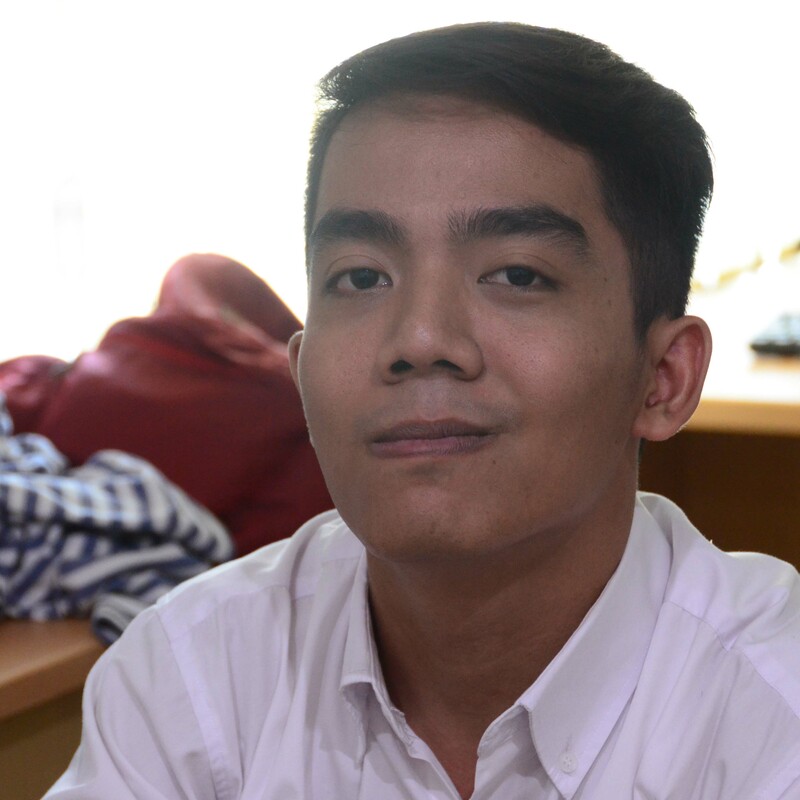 Shidqi continued his study at Gadjah Mada University, Yogyakarta with a major in Clinical Psychology. His hobbies are photography and videography. Shidqi is interested in the Australia-Indonesia relationship because of the bilateral ties in education, the economy and the tourism sector. He hopes to contribute to improving the relationship through his involvement in NAILA. 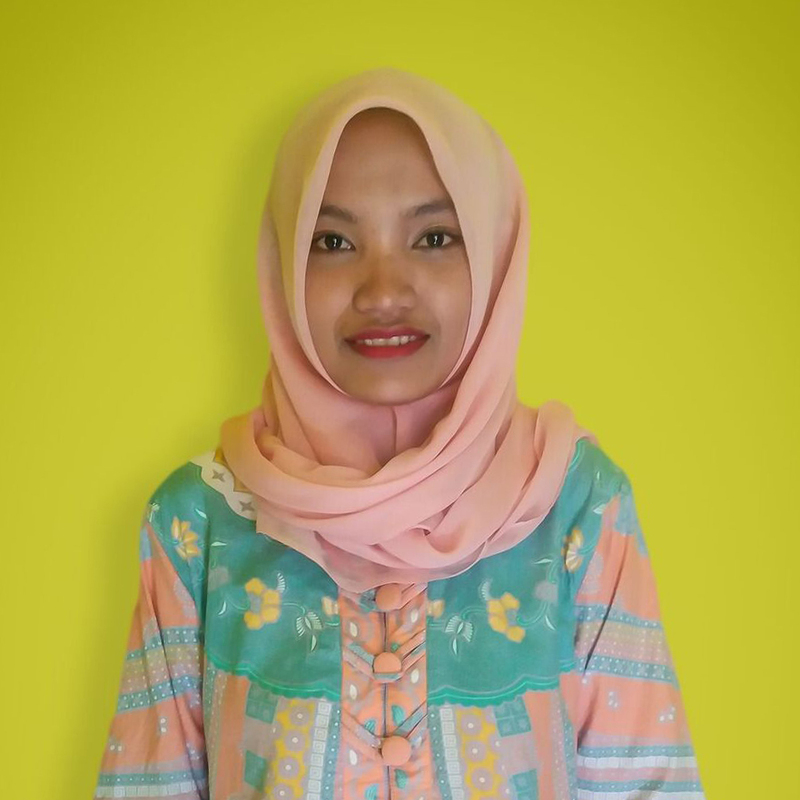 Adhie is a final-year international relations student in Universitas Muhammadiyah Yogyakarta, Indonesia. 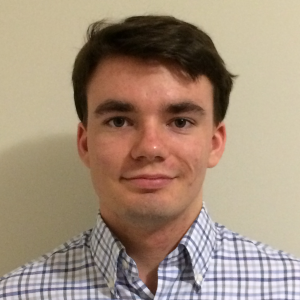 Other than speaking fluent English, he also speaks intermediate Spanish due to his experience of studying in Universitat Jaume I, Spain in 2015. He admits that he mostly learned English autodidactically through games and movies. In 2010, he and two of his friends founded a community that teaches English to children for fun, namely English Fun Club, because he believes that learning another language is very important and the learning process should be fun. He has worked as a freelance translator since 2013. Now, he is the founder and CEO of a professional translation company named Transletin. Majoring in diplomacy concentration in his study, Adhie realises the importance of Indonesia – Australia relations. Through NAILA, Adhie wishes to use his skills and experiences to contribute for the goodness of Indonesia and Australia’s relations. 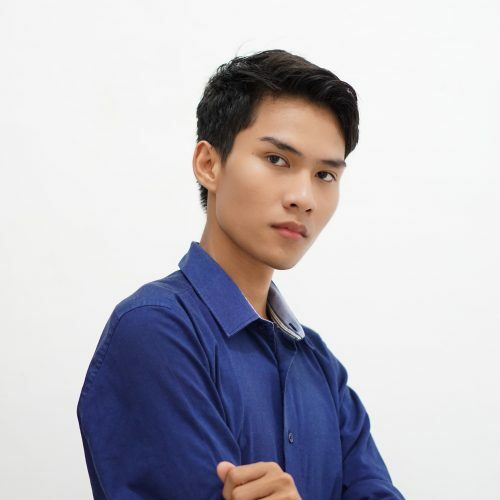 Wisnu Trianugeraha is finishing his Bachelor of Politics with a major in International Relations at Universitas Gadjah Mada in Yogyakarta, Indonesia. As one of the Indonesian representatives to go on a cultural exchange program funded by the BRIDGE Program in 2011, he has been involved in Australia-Indonesia relations since high school. 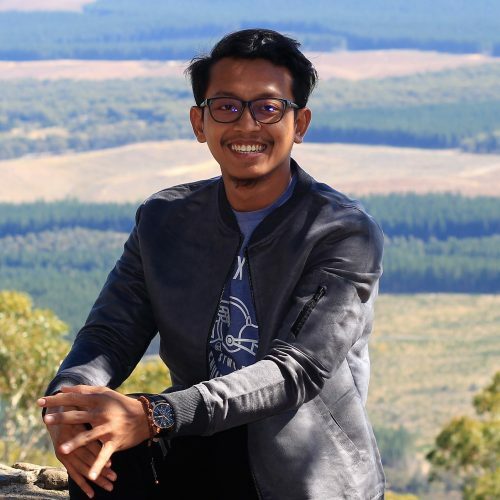 His commitment to the bilateral relationship has given him the opportunity to study in Adelaide in 2014 through a scholarship scheme between Universitas Gadjah Mada and the University of Adelaide. He is working part time at the moment as a staff member of his university’s Office of International Affairs while finishing his Bachelor thesis on Australia’s Public Diplomacy in Indonesia through international volunteering. 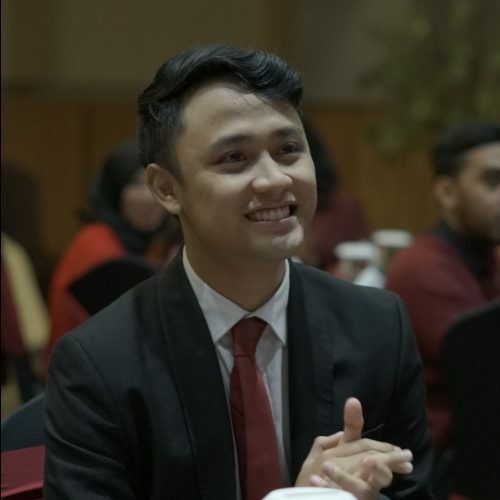 He has also been very active in the Australia-Indonesia Youth Association (AIYA) since 2014 and is currently the Vice President of the Yogyakarta Chapter. Wisnu believes in the importance of people-to-people diplomacy between Australian and Indonesian youth as a strong base of the two countries’ mutual partnership and hopes that his contribution in NAILA can foster these relationships. and minoring in International Relations. He interned at the Embassy of Peru in Jakarta and learned the importance of bilateral relationships. The relationship between Australia and Indonesia is essential given their geographical proximity. Andry is passionate about learning languages and translation. He speaks Bahasa Indonesia, English, Mandarin, German and a little bit of French. Andry hopes to contribute to strengthening the Australia-Indonesia relationship through his involvement in NAILA. Frans Judea Samosir is currently completing his services as Trainer, Speaker and Lecturer on issues related to health and education in Medan, North Sumatra. He is also helping PKBM Tabes to develop non-formal education programs. Previously Frans served as the Head of Rector’s Bureau at UNIKA Santo Thomas (2017-2018) and Head of Health Division of Caritas PSE (2010-2016), and engaged in the issues of prevention of adverse effects of drugs and HIV. From 2008-2009 Frans worked as a Human Resource officer at PT. Infomedia Nusantara. After completing his Bachelor of Psychology at the Faculty of Medicine, University of North Sumatra in 2007 he worked as a numerator at Save The Children for one month. Frans has also worked as an English tutor. Frans completed his Master Degree at the University of Georgia, US with concentrations on Health Promotion and Behaviour. He is interested in issues of mental health, counseling, self-development, management, HIV, drug abuse, reproductive health and sexual diversity in society. Frans hopes to build a bridge of understanding and support between Indonesia and Australia through Indonesian language and his diverse experiences. 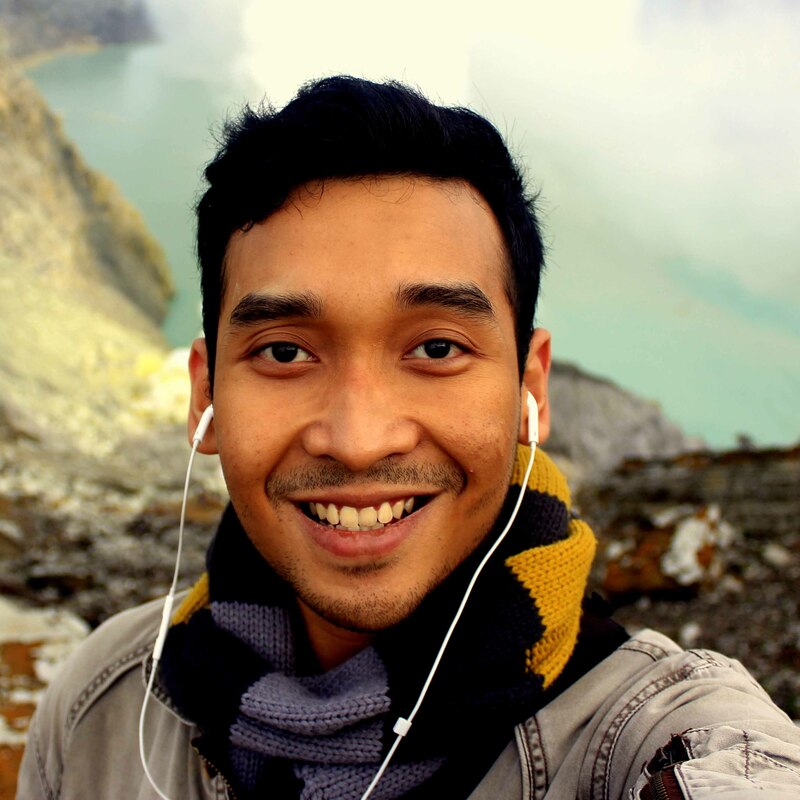 Indra is studying a Master Degree in International Relations at the University of Indonesia. He is originally from Bandar Lampung. Prior to his Master Degree, he studied at English Department, Diponegoro University in Semarang where he studied translation for two years from a basic to an advanced level. He found that learning translation is both challenging and fun. Currently, Indra is starting a translation service business in his hometown. Indra is also actively involved in social and volunteering activities, such as Earth Hour Bandar Lampung, Berbagi Nasi Lampung, and Taman Baca Masyarakat Kampung Merdeka. He is also running an initiative named Social Synergy Lampung which aims to empower Lampung youth and engage them in social development processes. In April 2017, Indra was selected as Lampung delegate for YSEALI Youth4Dev Academy Bootcamp in Semarang. In May 2017, he became the delegate of Indonesia to participate in Tech Camp in Bangkok, Thailand. 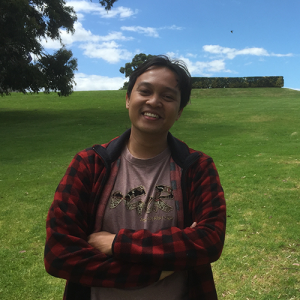 Indra hopes that by volunteering as a translator in NAILA, he can promote Indonesian language study in Australia and strengthen the bilateral relationship. 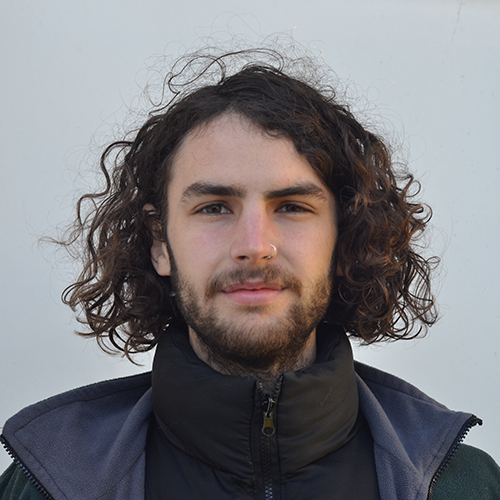 Joey just completed his Master in Asia-Pacific Studies at the Australian National University (ANU) under the Endeavour Scholarship by the Australian Department of Education and Training. 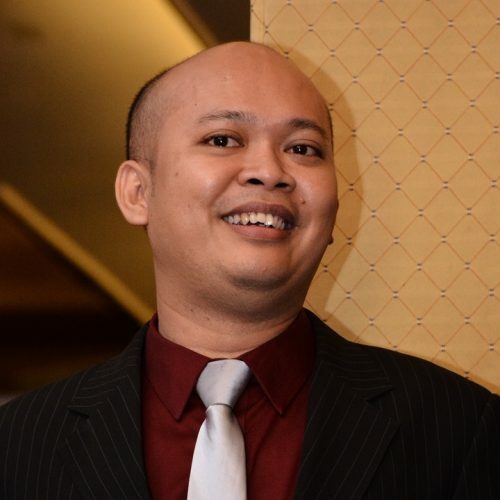 He holds a Bachelor of Social Studies in International Relations from Universitas Pelita Harapan (UPH) in Indonesia. 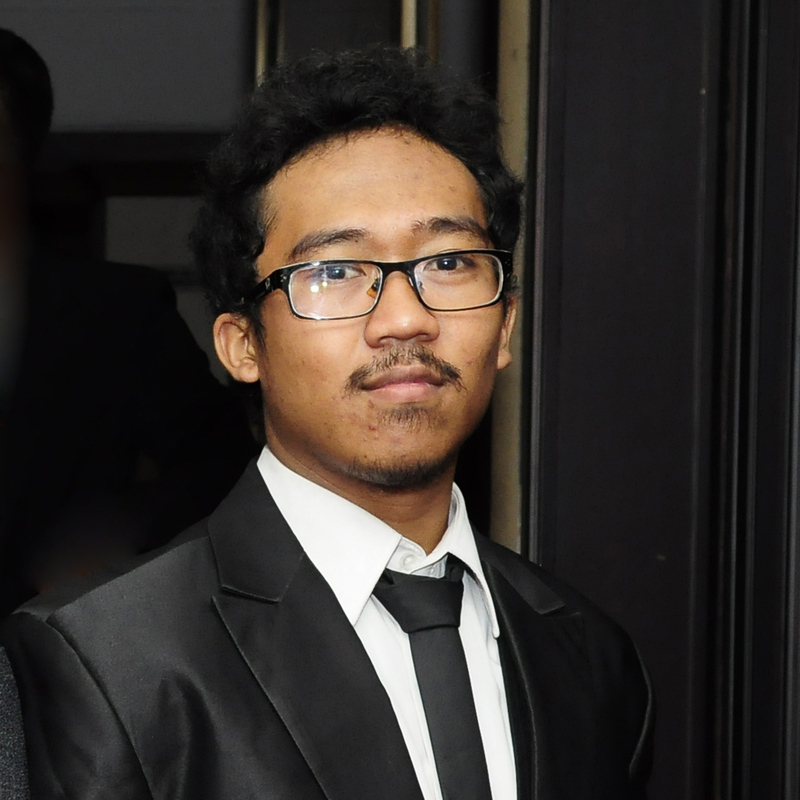 In 2012, he had an internship at the United Nations Development Programme (UNDP) Jakarta office, working on Strengthening Access to Justice in Indonesia (SAJI) Project. Whilst studying in Australia, Joey had the opportunity to be the part of the 2016 Asia-Pacific Week Committee as the Delegates Coordinator. Earlier this year, he also had the opportunity to tutor an Australian friend who was taking Bahasa Indonesia course at the university. Through the tutoring experience, he became interested in teaching Bahasa Indonesia as the way to deliver the diverse Indonesian culture to Australians. Through NAILA, he hopes to be able to contribute to Australia-Indonesia relations by promoting Bahasa Indonesia and its diverse cultures to Australians. He also hopes to be able to teach Bahasa Indonesia in Australia someday as he believes that teaching Bahasa Indonesia is not only just learning the language, but also the method to understand Indonesia more as one of Australia’s closest neighbours. 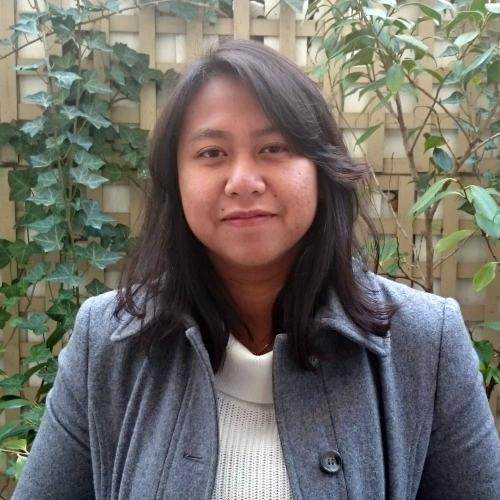 Siti currently works as a freelance translator for various local and international agencies. She has extensive experience in the translation. She completed a Bachelor of Arts majoring in English Linguistics and Literature at the State University of Malang. She is interested in studying international business and linguistics as well as learning Swedish and Korean. She understands that it is important to promote Indonesian language studies in Australia to maintain a stronger bond.